Parosha Chandran is someone I have mentioned on this blog before. She is an aggressive force in rights for Human Trafficking Victims and Slave Labour. 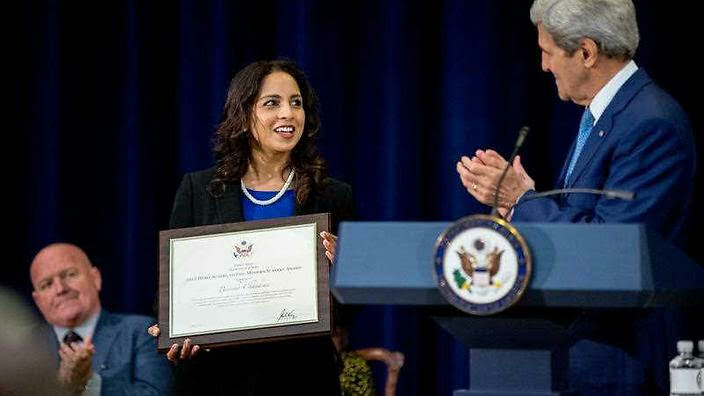 She was recently recognised in the TIP report 2015 as a TIP Hero and tells me she was very honoured to receive the Trafficking in Persons Hero Award 2015 from John Kerry at a ceremony in Washington DC in late July. She has also done a Radio Interview to talk about this and ensuring Safe Harbour for Trafficking Victims. She is a force to be reckoned with and knows how to get the job done. look her up in my blog. She is a true Heroin.